Revisiting corruption and culture – are there really cultures more prone to corruption? Forum Scientiae Oeconomia (ISSN 2300-5947) - economic papers, with special attention to management sciences are published in English language. However original articles which inform management research and practice from outside the discipline - such as from psychology, education, sociology, research design - will also be considered. 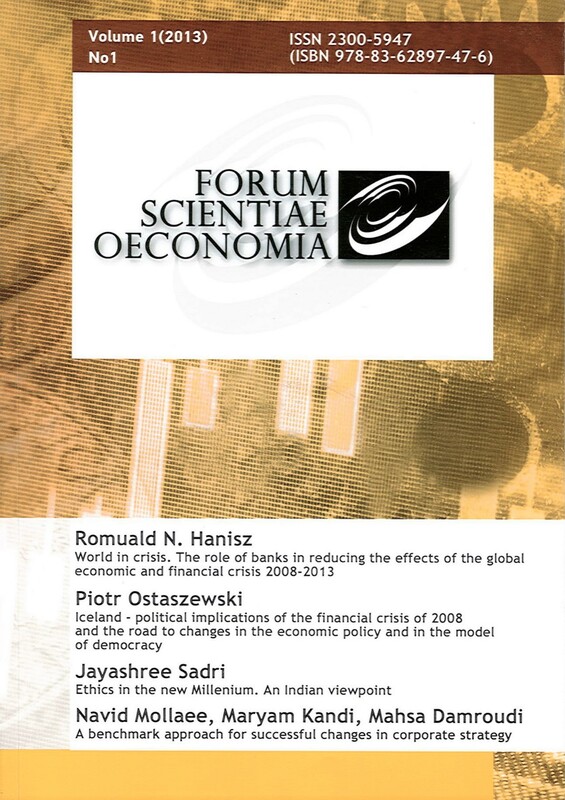 Forum Scientiae Oeconomia is published under a Creative Commons BY-SA license. Based on the decision of Ministry of Science and Higher Education, publications in "Forum Scientiae Oeconomia" receive 7 points acc. to the academic rating system.